Summer wedding season is officially upon us, and if you’d like to not wear what you wore last summer (because who even knows where those shirts are), Jos. A. Bank is here for you. 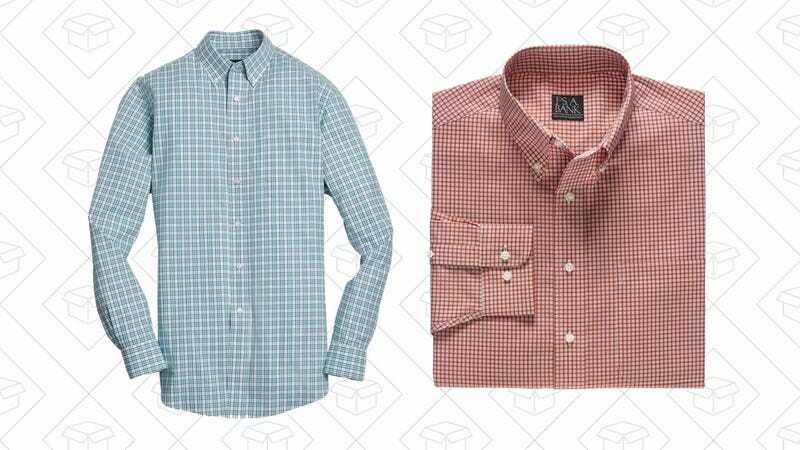 Buy one men’s shirt and get one free and look put together without even trying, or spending a lot of money.